The Walther CCP is designed for easy concealed carry; why bother with anything else in a Walther CCP holster? It's a near-perfect pistol for carrying discreetly and comfortably, so long as you have the hardware to let you do that. And that is where Alien Gear comes in. Comfortable concealment is our specialty. You won't have to worry about the usual drawbacks of a Walther CCP concealed carry holster. The fit is custom - we mold the retention shell to the CCP and you will notice the fit the second you get it out of the box. Wish more holsters had adjustable retention? 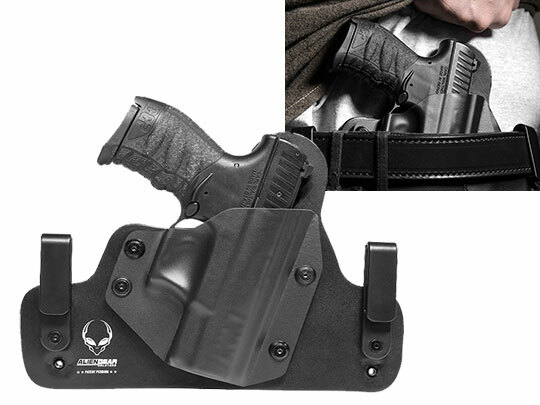 Our holsters use adjustable mounting hardware to secure the retention shell, allowing you to dial in the retention to exactly the setting you want. Select models are also adjustable for ride height and cant. You just need to figure out how you want to carry, and what you want your holster made of. 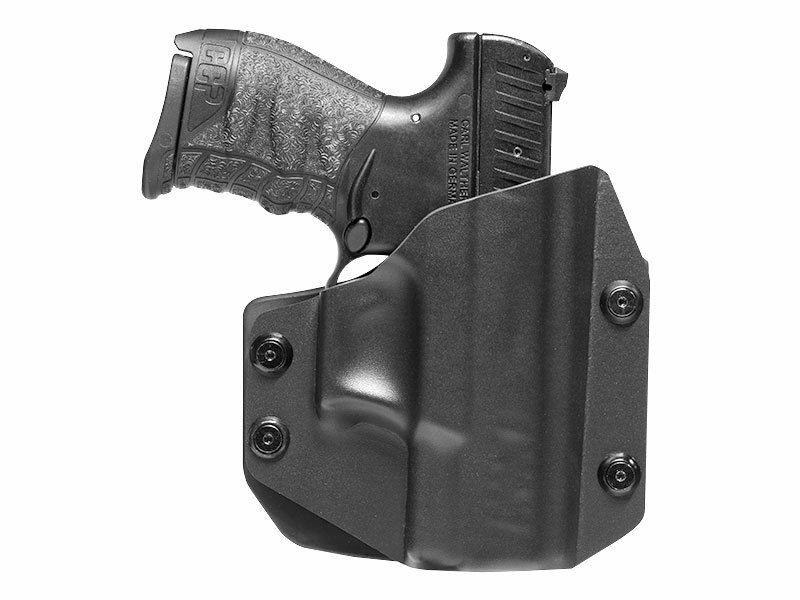 For comfortable concealment, the Cloak Tuck line of CCP IWB holsters is the best option. Each features a plush backer that sits comfortably inside the waistband, concealing easily and comfortably with as little as a t-shirt. Pick the backer you want - the original Cloak Tuck has a plush leather backer and the Cloak Tuck 3.0 uses multi-layer construction, with a neoprene backpad and spring steel core, for the ultimate in comfort and easy carry. For OWB carry, we have Walther CCP OWB holster models as well, including the Cloak Slide belt slide OWB and the Cloak Mod, which can be worn as a Walther CCP paddle holster or belt slide holster - or switch between the two at your convenience. 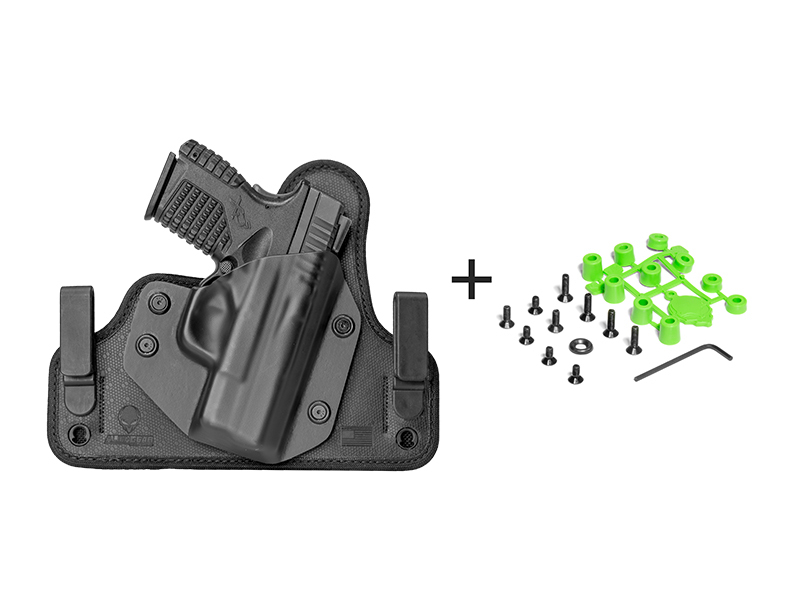 Regardless of which holster you select - or if you get more than one; you can actually get a discount if you make it a combo - you get Alien Gear's Iron-Clad Guarantee, one of the most comprehensive product guarantees in the industry. First is a 30-day Test Drive, a trial period for the first month of ownership during which you can return your holster for a refund if unsatisfied. You also get a lifetime of retention shell swaps, so if you ever trade in your pistol for a new one you can get the retention shell for the new gun and keep using your holster. You also get a lifetime warranty - any issue will be fixed or we'll send you a new holster, for as long as you have it.